Super Typhoon Mangkhut’s is expected to hit the area of Cagayan-Batanes on September 15, on Saturday. It will be locally named as Ompong upon entering the Philippine area of responsibility. According to the Philippine Atmospheric, Geophysical and Astronomical Services Administration (PAGASA), the said typhoon might bring rains over Southern Luzon, the Visayas and Mindanao, and heavy rains and strong winds in Northern and parts of Central Luzon beginning tomorrow, September 13, 2018, Thursday. Department of Social Welfare and Development (DSWD) being the lead agency on social welfare and protection, through the Disaster Response Assistance Management Bureau (DReAMB) is operationally preparing the necessary interventions. The agency is continually monitoring the weather conditions and maintaining its coordination with its regional counterparts. 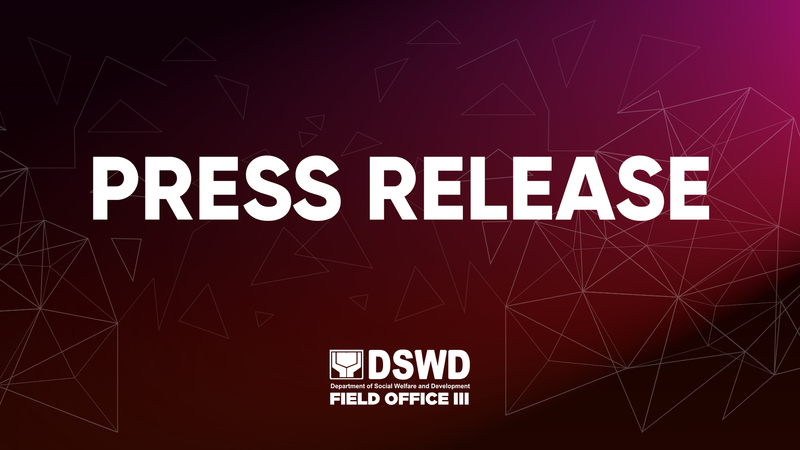 For Central Luzon, DSWD Field Office (FO) III had already prepositioned a total of 8,000 Family Food Packs (FFP) in its different Local Government Units (LGUs), mostly in the province of Aurora. In line with the Republic Act 7160, (or the Local Government Code of 1991), the LGUs have the prerogative to secure and generate their resources to perform their functions, alongside with the augmentation of the National Government Agencies (NGAs). Hence, the LGUs are expected to be the frontliners during Disaster Response. In addition, DSWD FO IV-A (CALABARZON) will also augment a total of 5,000 FFP since some of the resources of the DSWD FO III were exhausted due to the previous typhoons that hit Central Luzon. Up-to-date, the LGU of Concepcion, Tarlac requested for a total of 1,000 FFP for their municipality, as part of their disaster-response grounding.